I have wanted to take Peyton to see Mount Rushmore for over a year. Well, this past week she had a week long break from school so I decided this would be a good time to make it happen. I have been to Mount Rushmore one other time in my life, I was about 4 or 5 years old so I don’t remember much of it. Plus, things have changed in 30 years! 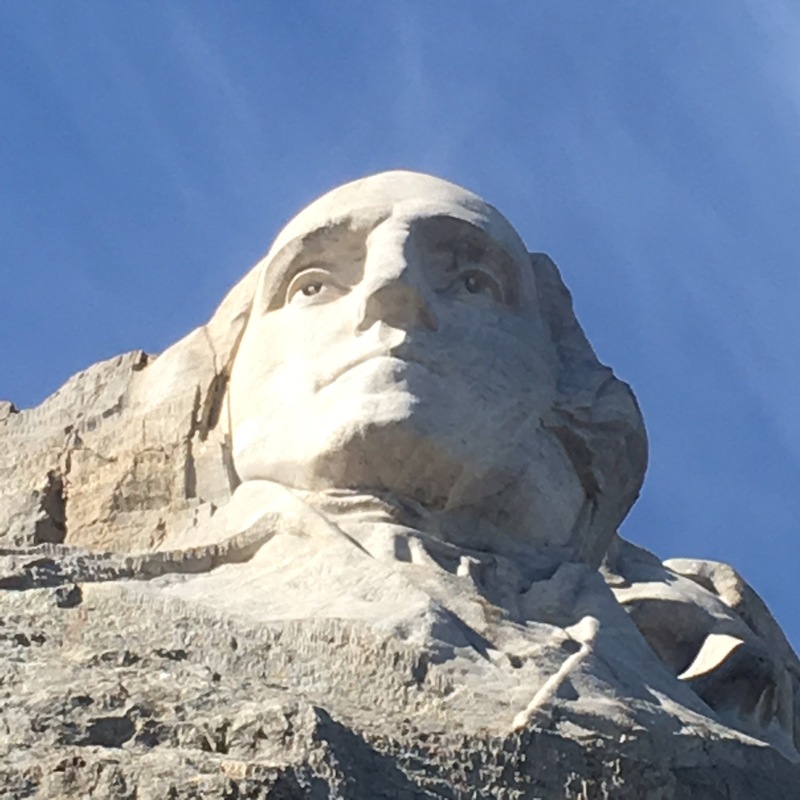 We were staying in Rapid City, South Dakota so the drive to Mount Rushmore was almost an hour. With two kids in the car that can be a long drive but the scenery on the way was beautiful! Plus, there are plenty of places to stop along the way. 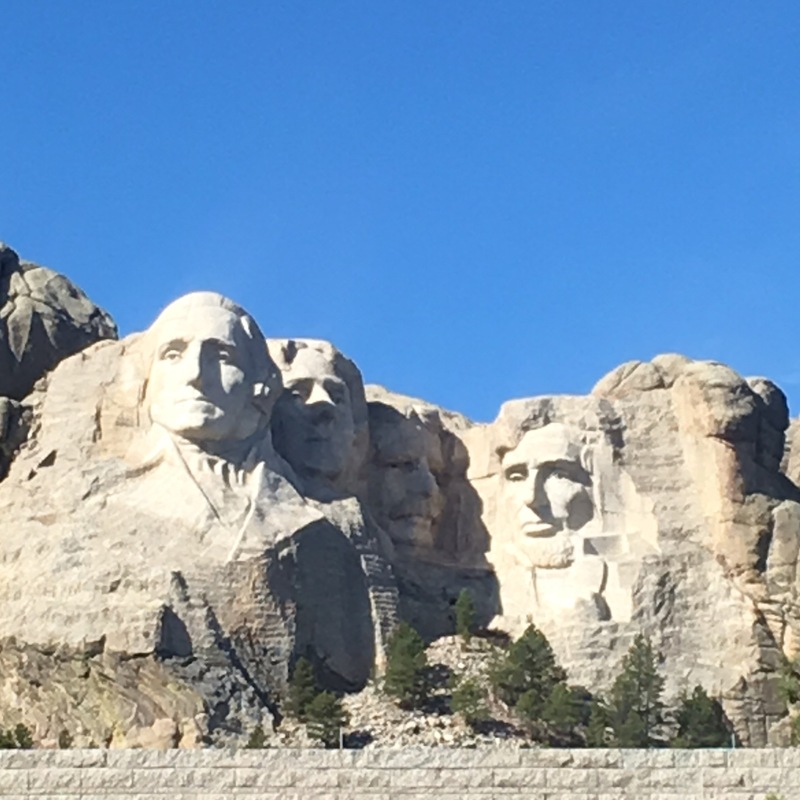 This was our first day in South Dakota and everyone was pretty excited to see Mount Rushmore so we did not stop along the way, we drove straight to our destination. The closer you get to Mount Rushmore the more curvy the road becomes as you climb the hill. There is a fee to get in, for a car it’s $10 but there are a few discounts. If you are active or retired military the fee is $5. It’s more of a parking fee than admission fee. And it’s good for the whole year so be sure to keep it if you plan on coming back more than once on your visit. Once we parked it was time to get out and let the kids experience Mount Rushmore. There is a little bit of a walk from the entrance until you arrive at the amphitheater. Along the way, there is a gift shop, eatery and ice cream shop. The kids were pretty excited so we breezed past all those and went straight to the viewing area. On the way, all the state flags with the dates they joined the union are lining the walkway. It’s alphabetical so finding Minnesota was pretty easy. Peyton was really impressed with the memorial. And she had a ton of questions as to how they created it. 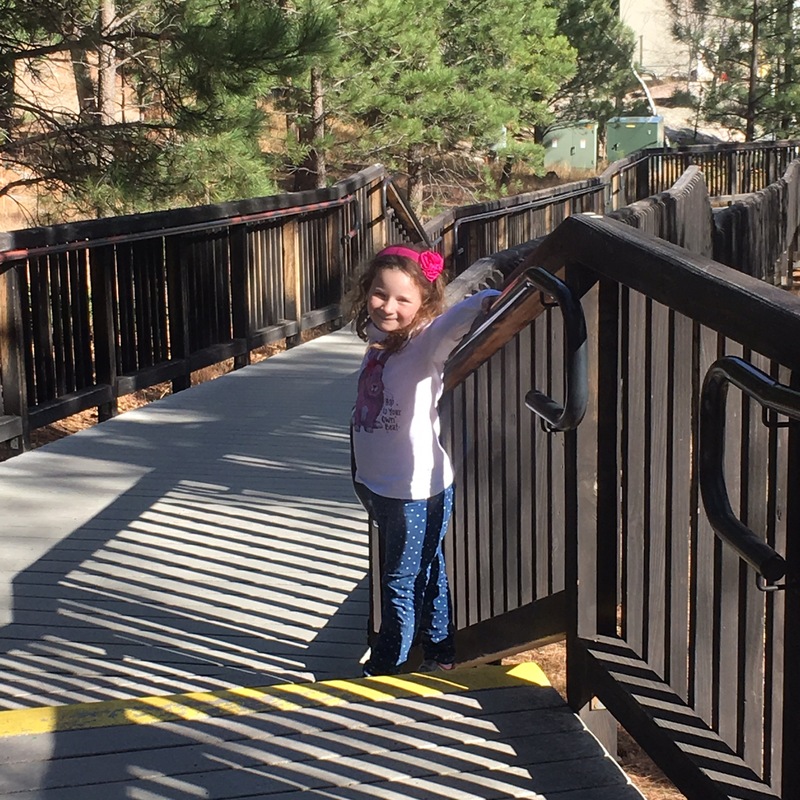 The kids were a little squirrely from the drive so we decided to take a walk along the Presidential trail. Little tip – go to the left of the monument and start the trail. Then majority of the steps are down. If you go the right, you will be climbing a lot of steps. 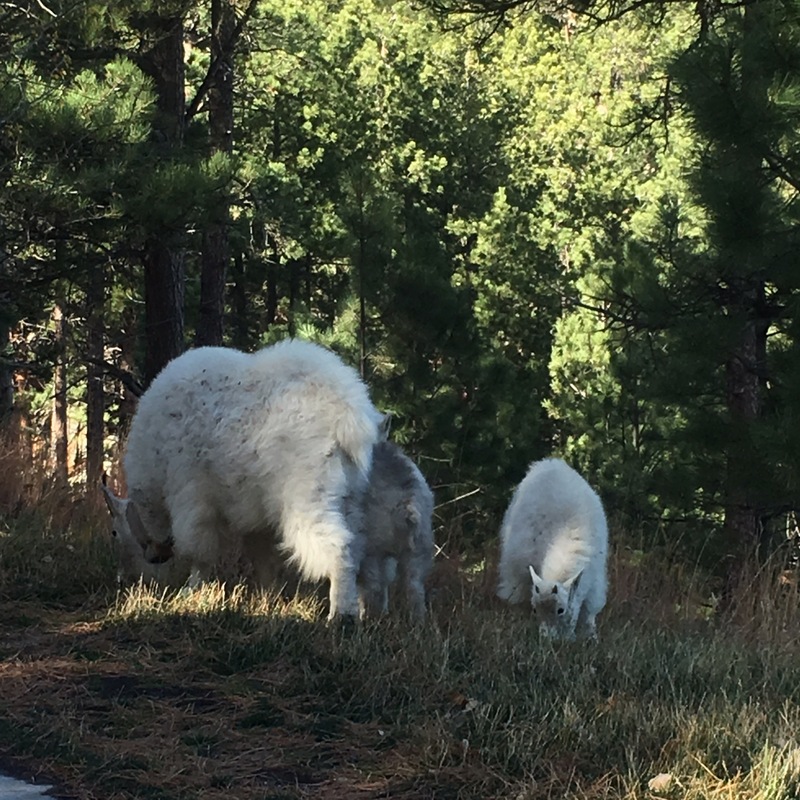 As we started walking the trail we came across some mountain goats. It looked like a mama and her 2 babies. They had no fear of us. The kids thought it was pretty cool to see them up close. As you are walking the trail be sure to stop and look around. There are 4 different points where you can see each President. We all enjoyed that. The Presidential trail took us about an hour to walk and it’s only about a half mile. But there is so much to see and take in while you walk that we could’ve easily stayed longer. Once we were done with the trail the kids were pretty hungry. Luckily, Mount Rushmore has a cafeteria so that was our next stop. The prices are a little on the high side and there is no kids menu. The quality of the food is cafeteria food but not cafeteria prices. For a hotdog with fries, sloppy joe with fries, chicken with veggies and an ice cream cone plus 2 milks and a soda it was $43. That was a little steep for me. Our takeaway – Bring a camera. We took lots of pictures while walking the trail. Also bring a snack and a light sweatshirt. It can be chilly. We all really enjoyed Mount Rushmore. In the evening they light up the memorial, we had wanted to come back and see that but never made it. So I suggest, if you can, come see the memorial in the morning and then come back after dinner and see it one more time. It’ll be two completely different expereinces.